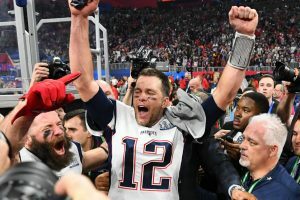 Atlanta, February 3, 2019 – The New England Patriots beat the Los Angeles Rams 13-3 on Sunday in the lowest scoring Super Bowl played to capture the National Football League championship for a record-tying sixth time. The Rams high-powered offense, which averaged nearly 33 points a game during the regular season, failed to fire and managed just 57 total yards and two first downs in the first half and 260 for the game. 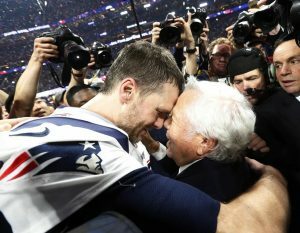 “We had a lot of resolve the last couple of weeks,” said Brady, who completed 21 of 35 pass attempts for 262 yards. “I wish we had played a little bit better on offense but we won. The Rams sputtering offense finally began to get in gear late in the third quarter as Goff engineered a modest 10-play drive that ended with Greg Zuerlein connecting on a 53-yard field goal to tie the game at 3-3.